Daydream of fields of flowers this season with this beautifully detailed crown bead from Chamilia. 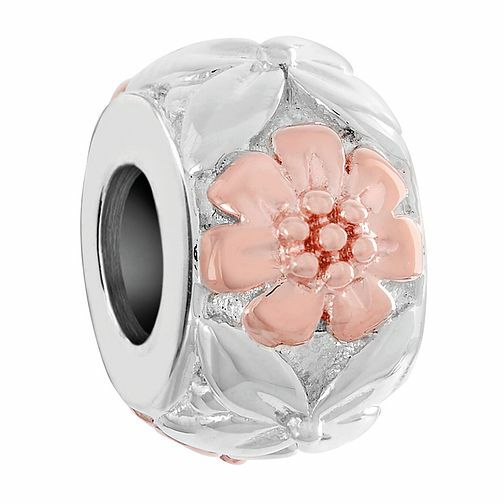 Beautifully crafted in sterling silver and rose gold electroplated, this bead is the perfect addition to any collectors bracelet. Chamilia Sterling Silver Flower Crown Charm is rated 5.0 out of 5 by 3. Rated 5 out of 5 by Anonymous from Great product. Received this product a just under a week after it was orders, in great condition and the perfect Christmas gift.